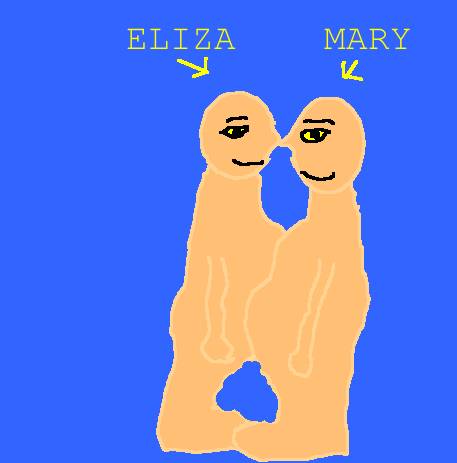 In the recent past, two conjoined twins, Eliza and Mary were just separated at the Children's Hospital in Philadelphia. They were joined on the chests and had survived a very difficult and hard 7 hour marathon surgery. Eliza and Mary are feeling better and are still recovering. It was the 21st case separating conjoined twins. I feel really happy that they had survived a marathon surgery. If you wish to read more about their surgery, click on this link. Thanks to Dakota for checking my work. They are really lucky to survive while their marathon surgery. I feel really happy too they survived. The doctors must be so happy they seperated conjoined twins. Well done o them!! My Favorite Film Festival Movie!